If you haven’t already worked it out from reading my ramblings on this blog, I like making stuff out of crap. It seems that it runs in the family as my sister also enjoys this pastime. 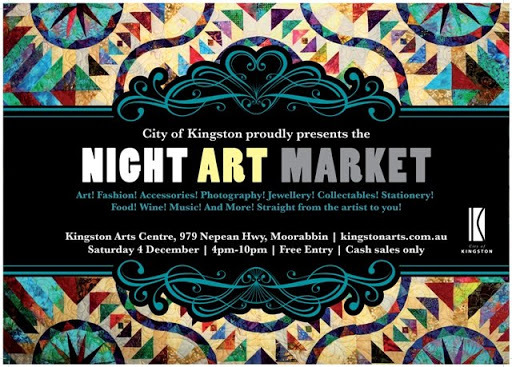 This Saturday we will be selling our wares at the Kingston Night Art Market, so we would love to see you there (it’s at the Kingston Arts Centre, 979 Nepean Highway, Moorabbin, from 4-10pm). Here is a sneak peek! These are my sister’s critters made from all manner of things including old socks. Last year she had an exhibition and made something like 60 of these zombie hamsters with exploding guts. I’m sure a zombie hamster with exploding guts is on the wishlist of someone near and dear to you for Christmas, isn’t it? All photos of the critters are by the talented and lovely Leslie Haworth. And these things are by me… organic T-shirts with vintage kimono decorations for babies and necklaces made out of vintage kimono and other bits and bobs for grown up ladies! I did not realise it until this moment, but my life is missing a zombie hamster with exploding guts. Those things are AWESOME! I hope you have a very rewarding market experience. Zombie hamsters, hahaha! I am going to try and make it to the market, looks good, and is local. Very funny zombie hamsters! m1k1, it would be great if you would make MINIATURE zombie hamsters with MINIATURE exploding guts (everyone else, take a look at m1k1's blog, she has some pretty amazing skills when it comes to making mini-things)… and if anyone else wants to nab a hamster you better be quick as I don't think there are many left even though originally they were an ARMY of about 60 or so (yes, my sister's house was completely covered in fake fur)! Hope you sell lots! Where did your sister get the inspiration for those hamsters…?! So cute! I love the little animals,, the last necklace is divine! Ah! Those necklaces are cute but I'm partial to the animals:) You can sell almost anything if its related to animals!! !